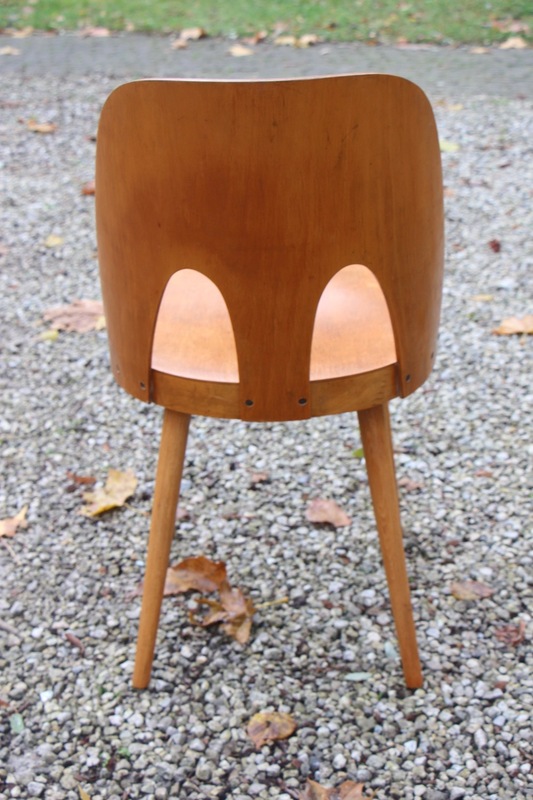 Marevelous chair by Oswald Haerdtl for TON manufacture, designed in 1955. 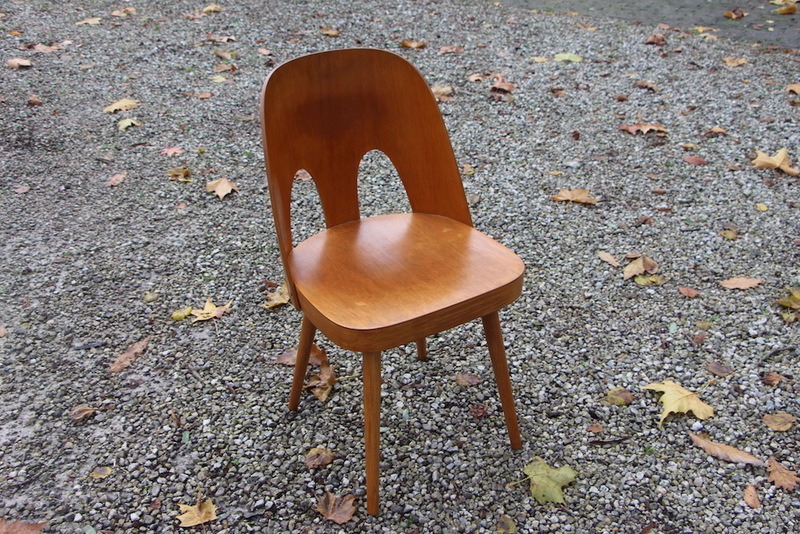 This chair is not in production anymore and is not often seen. 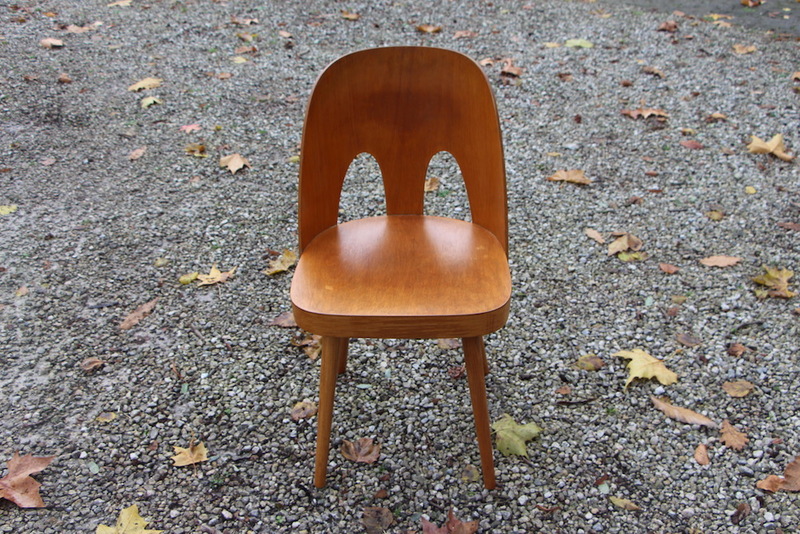 It looks like the other Haerdtl's chairs but has this little something more which is the double bow in it's backrest. I would love to have a series of these but must admit I would keep these to myself if I had them! It's sturdy, charming, full of character, the wood has a superb patina and is warm. This one has all I like about a chair! I could be mixed with other chairs of Haerdtl without hesitation. 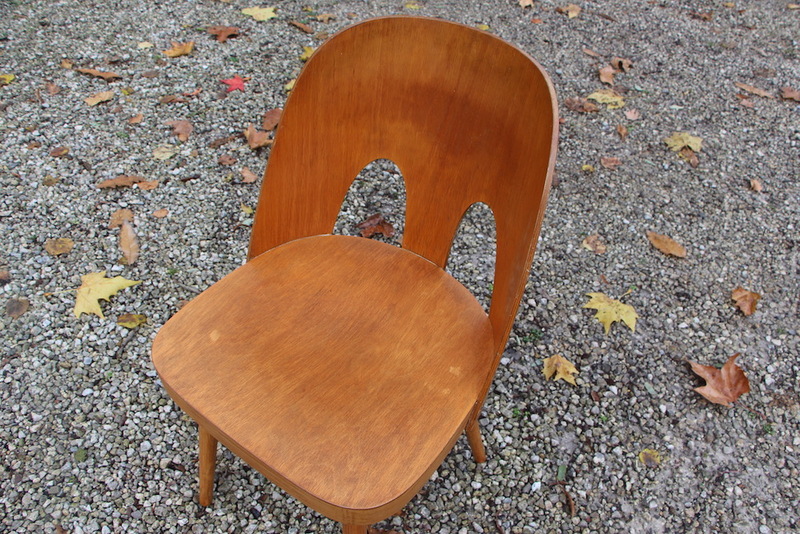 This chair is not produced anymore, you can only find it in vintage condition, isn't that great?